today toppling it’s spire as people witness the event unfold live all across the internet. The President of France Emmanual Macron was set to give a pre recorded televised speech to announce “profound changes” in response to the yellow vest movement that has rocked his administration but due to the fire the televised speech has been canceled. 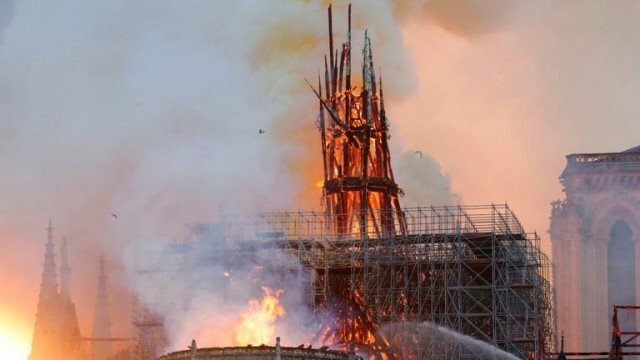 Dan Dicks of Press For Truth takes a chronological look at a recent wave of church attacks in France that seem to have a direct correlation with the fire at Notre Dame…meanwhile President Macron has conveniently postponed a highly anticipated speech he was slated to give as his response to the ongoing yellow vest protest. I'm sure this Emanuel won't let this crisis go to waste., either. Certainly the highest probability. Well done.